As a reader of our book you can join a private, confidential online community where you can share your experiences, ask us questions, and get advice from us and others on how best to move forward. 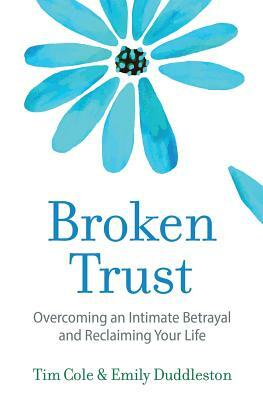 This online community includes assessment tools, online journals, forums, and a variety of additional resources to help you cope with and recover from an intimate betrayal (www.brokentrust.com). Tim Cole earned his doctorate in interpersonal communication at the University of California at Santa Barbara. Dr. Cole was one of the first scholars to discover how differences in people’s need for attachment can lead to an intimate betrayal. He’s currently an award-winning Associate Professor at DePaul University where he does research and teaches courses on attachment, deception, and close relationships.